In my earliest days as a young attorney, I faced an international crisis: one of our clients, a performing arts organization, had engaged a troupe of performers from China, and the troupe — every single performer — decided to defect. My firm and I swung into action (pun intended). The performers were whisked into U.S. protection, and I was hooked on international affairs. Twenty-odd years later, I am co-chair of the International Committee of LPTW, I am married to a native European, and I am blessed with a circle of friends from outside the United States. I love the arts, but homogeneity holds no interest for me. What gets me excited is access to an intimate view of a society or an issue I had only read about in the paper. This is most thrilling when embodied in artistic expression, or in the artist herself. A director or a producer or a writer – someone from Russia, Poland, Serbia, or Africa — who comes to the U.S. and shares what it means to be her, operating in her place and her time, with her particular challenges. Is she subject to censorship? Is her country so male dominated that it’s impossible to be heard? Has her play made the powers-that-be angry? If she is a feminist in an Arab country, how does she cope with all the restrictions? Has her art changed anyone’s point of view? When we brought Rwandan artist Odile Gakire Katese to New York to receive LPTW’s first-ever International Award, my favorite part of the experience was hearing her tell of her countrymen — genocidal victims and perpetrators alike — healing the wounds of war through drumming, writing and dance. If the arts can achieve that, what can’t it achieve? In my law practice, I make deals, I work in contracts. Much of my practice involves theater, though I also do film, television and publishing. My clients do business on both coasts, and in London. What gives me the most satisfaction is helping people in the arts. If the deal has an international flavor, all the better, in my book. Pamela Golinski. Co-chair of the LPTW’s International Committee, and a lawyer with 22 years experience in entertainment, especially theater. Featured this fall in the “Legal Elite” edition of Avenue Magazine as one of NYC’s top women lawyers. I love to help people get ahead in my industry. Most often, in history – to the point where I’ve toyed with the idea of thanking The History Channel, should I ever have to make an acceptance speech. I’ve been fascinated with history since my childhood. In my elementary school library, there was a set of biographies that took up two to three shelves. In an extremely organized fashion (I am a Virgo, after all), I methodically and avidly read all the biographies of African-American figures, and all the ones of women; not surprisingly, I was particularly interested in their stories. I remember being disappointed when I read the last one. I didn’t realize then that those were only a few of the stories out there. History is so full of wonderful stories, and so many of them are unknown to so most of us. I was inspired to write my musical Barnstormer when I was flipping through a book researching another historically-based project. I saw a picture of a beautiful Black woman wearing a leather flyers’ cap, which I knew placed her in the 1920s. I’d certainly never heard of an African-American aviatrix, so I did some research into this Bessie Coleman person. I found her story to be fascinating, inspiring, and eminently theatrical. Yet, despite the fact that her face was on a stamp some years ago (and her name is on a road leading to O’Hare International Airport), many people still don’t know who she is, let alone what she did. Hers is just one of the many stories “hiding in plain sight” in history – and on my bookshelves — that needs to be dramatized. 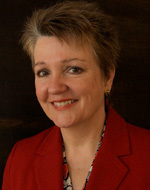 Cheryl L. Davis is the VP of Communications for LPTW. She has received the Kleban Award for her work as a librettist, and her play about the desegregation of America’s schools has received critical acclaim and tours regularly. She is a partner with the law firm of Menaker & Herrmann LLP.